What are my responsibilities as an estate executor? If an estate is larger or more complicated, you may be best served retaining legal representation to assist you in your role as an executor of an estate. Home > Blog > What are my responsibilities as an estate executor? An executor is the person designated in the last will and testament to oversee the affairs of a person’s estate after that individual has died. Legally speaking, an executor is legally responsible for marshalling or collecting the assets of an estate, safeguarding them, and overseeing the proper distribution of a deceased person’s property according to the directives contained in a will. In this regard, if you are named as an executor, you have certain duties you must appropriately discharge. The paramount responsibility you owe to an estate as an executor is what legally is known as a fiduciary duty. A fiduciary duty is classified as the highest standard of care, according to the Cornell University School of Law. As an executory, you have a fiduciary duty to act solely in the best interests of the estate. Your decisions and actions must be directed towards ensuring the assets of the estate are protected and properly utilized and distributed according to the provisions of the estate and mandates of applicable law. As part of your duties as an executor, you need to obtain a certified copy of the deceased individual’s death certificate. 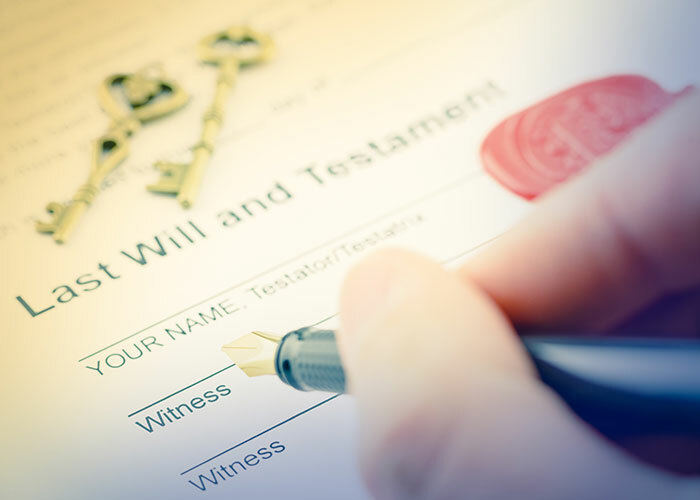 You also need to find the original copy of the last will and testament, and any other testamentary or related documents the deceased person may have prepared. This can include a trust agreement in some cases. Another primary task of an executor is filing a will with the appropriate court to have it probated. Depending on the nature and extent of the deceased person’s assets, and related considerations, the probate process might be fairly simple. On the other hand, a larger estate may result in a more complicated court process to probate the estate. Once the probate process commences, the court will issue what are known as letters testamentary. This is a court order that grants you formal, legal authority to serve officially as the executor of an estate. This is the legal document that gives you the power to address the affairs of the estate. Once the will has been filed for probate, and letters testamentary are issued by the court, your next step as an executor is to identify, locate, inventory, and protect the assets of the estate. The inventory also includes identifying all liabilities of the estate as well. As a general rule, you will be required to file a formal inventory of major assets with the estate. Once the inventory of the estate is complete, as the executor, you pay the legitimate bills and taxes due and owing associated with the estate. Some liabilities may require specific court approval before they can be paid. Depending on the nature of the probate proceedings, you may be required to provide the court with recurring reports on the status of the estate. This must be filed in a timely manner to avoid sanctions from the court. Once all of the liabilities of the estate have been satisfied, you return to the court for approval of the proposed distribution of assets in the manner directed in the will. An order from the court provides you the authority to complete the work of an executor in regard to an estate. In some cases involving a smaller estate, you can make the distribution without prior specific approval of the court. If an estate is larger or more complicated, you may be best served retaining legal representation to assist you in your role as an executor of an estate. An estate lawyer Sacramento trusts typically will schedule an initial consultation with you at no cost to you or the estate.